Field surveys are often a collection blitz for scientists – we spend a brief, intense period of time out in nature gathering up samples to analyze back at the lab during the rest of the year (or for many years to come…). 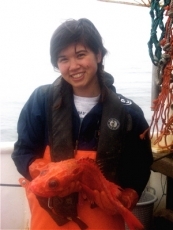 My 10 days on a trawl survey with the National Marine Fisheries Service (NMFS) were a flurry of activity – each time the net came up, we recorded all kinds of information about our catch (what species we caught, how many of each kind, etc. ), then bagged up requested specimens for researchers at MLML and NMFS to study. We collected small pieces of deepsea corals (such as the sea whip I posted about earlier) for NMFS scientists to use for genetic analysis. 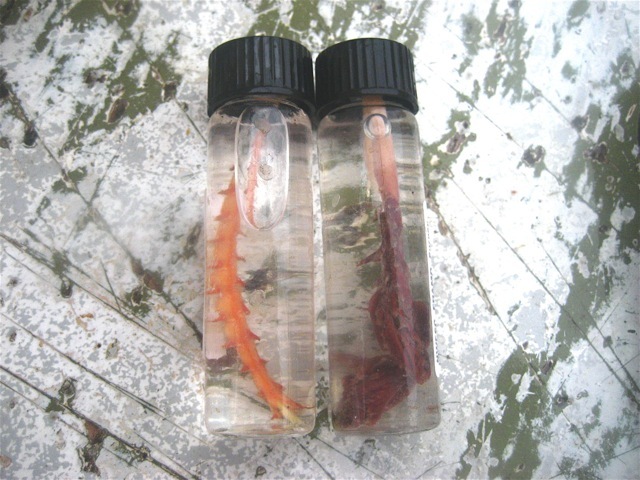 We stored the samples in vials of ethanol to preserve them. 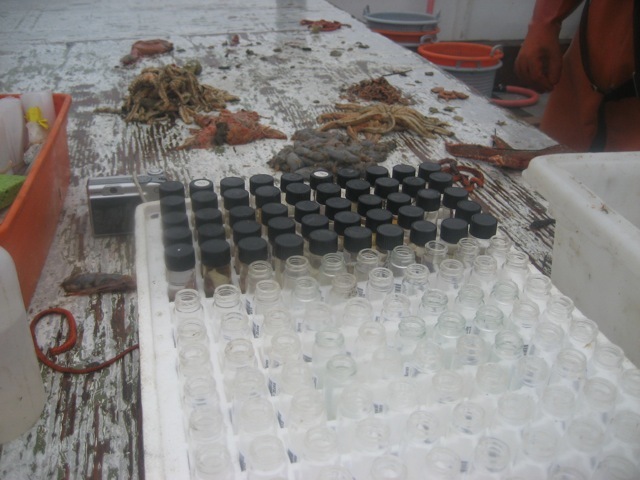 Labeling and inventorying each vial was good practice in learning to stay organized on a messy, chaotic fishing boat! This entry was posted in Cool Creatures, Erin Loury, Research: Fresh from the Field and tagged coral, genetics, surveys. Bookmark the permalink.